This is Jackson. He's a Boykin Spaniel. He is loyal to his master and a regal hunter. 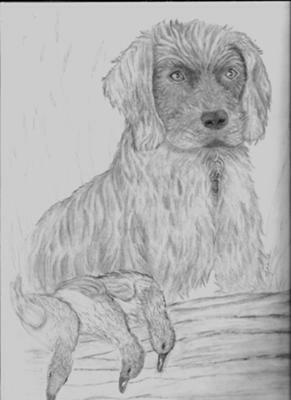 Comments for Boykin Spaniel "Jackson"
Thank you for the comment. Practice Practice Practice AND draw from your heart. Everything you do will be beautiful! That is done very well....I just hope mine will turn out as good as yours one day. Thanks Ivan! I have so much fun drawing dogs. Each one is special to me!